Facebook is becoming a serious rival for YouTube. Advertisers are widely adopting the Facebook video ads as these are more engaging. Mentioned below are some of the common best practices and tips for making the ad campaign more effective. 2. A native video on Facebook will capture more attention. 3. These perform four times better than the other forms of videos on Facebook. 4. Add the auto play feature for natively uploaded videos. 5. Use the view count feature to get to know your fans like. 6. Do not post the YouTube or Vimeo links on your Facebook page. 7. The aspect ratio of the Facebook video ads should be not larger than 1280px wide. 8. Grab the attention of the viewers in the first two seconds. 9. Customize videos for your target audience. 10. Add call to action at the end. 11. If your videos are getting more traffic from mobiles, optimize them for mobiles. 12. For mobiles, the ideal length of the video should not be more than thirty seconds. 13. For desktop version Facebook ads, the ideal length is up to two minutes. 14. Embed the Facebook video on your website. 15. Keep the videos short and sweet. 16. Facebook videos can be shot even with a smartphone also. 17. Also shot the videos in vertical and see the response of the audience. Vertical videos are giving best experience when watching on mobiles. 18. Editing is important for the videos to make them more appealing. Use the apps available for easily editing the videos. 19.Facebook video ads allow choosing the target audience. It is able to target the audience by choosing the right demographic by age, connections, behaviors and interests. 20. Choose a thumbnail that is compelling. 21. Since Facebook videos play without sound until they are clicked for viewing, try grabbing the attention of the audience. 22. Thumbnails for Facebook videos should have minimal text. 23. Set up publishing schedule for videos on your Facebook page for maximum coverage. 24. Using banner or text overlay in the first few seconds of the Facebook video help to get the viewers engaged. 25. Add closed captions to help the viewers watch the videos with sound or without sound. 26. Facebook page owners can have a video library using which it is easy to manage Facebook videos. 27. Use the secret video feature to host on Facebook and which can be accessed by users with a specific link. 28. Determine the goal of your Facebook video ad. 29. The goal of the Facebook video ad can be conversion, engagement or transactions. 30. Be consistent with the pictures and vice. 31. Do not deviate from brand idea. 32. Create content that gives a reason for the audience to watch the video content. 33. Make sure that the video is able to convey the message even when it is playing without sound. 34. Videos should be eye catching and creative. 35. Focus on the length of the video. Test different lengths. Too shorter videos may not deliver the message clearly and too longer videos may not be watched by the audience. 36. Retargeting is an idea to re-engage the users. 37. Use Facebook 360 video to create immersive stories. 38. Add a features video to your Facebook page to increase the popularity. 39. Use the Facebook Live feature to maximize the marketing potential. 40. Promote your live event for few days prior to the schedule. 41. After the live event, the video can be edited, custom thumbnails can be added and also a call to action button and then can be used it in other places. 42. Create playlists of the Facebook videos so that viewers can easily find them. 43. Take the help of Facebook Ad Campaign to reach more people. 44. Facebook insights help to analyze the performance of the video ads. 45. Based on the insights, the next videos can be optimized. 46. Write a great headline for the Facebook ad. This can help in getting more click-through rates and cost per click. 47. Keep the headline short and catchy. 48. For all the audience who click the ads, offer something in exchange. 49. Create sense of urgency. 50. Play with the emotions of people. Include happy, sad, angry and surprise elements in your Facebook ad campaigns. Most of the developers are always merging video ads in the game which has been played by the user. To make this insertion of rewarded video ads simple and easy the ‘Facebook Audience Network’ is the best solution. This can feed the all apps on both Android and iOS with the rewarded video ads which helps in the expansion of one’s brand. Facebook Audience Network is used to merge the ads in the apps of both the iOS and Android device at the targeted audience with the battered video ads. Download the video format of audience network available in ‘public SDK’. Then place the copy of ‘audiencenetwork.aar’ in the folder of libs of your project. Now replace ‘audiencenetwork.aar’ with audiencenetwork.zip then extract it by renaming as audiencenetwork.jar. Then check that whether the IDE’sUI is has been changed after that select the “add as library” by right clicking on libs\audiencenetwork.jar. Otherwise prefer to include the Android v4 support library at your organizing project. The apps manifest file has to be accessed by activating the permissions of both ‘access network state and internet’. The rewarded video object will be activated by the function and then use placement ID. After insertion of ad load code then declare the class to implement the interface ‘rewardedvideoadlistner’. The validation technique will make the communication between the server and other end point to know whether the video ad that has been placed is eligible for reward or not. When you are ready to load the ad then the user ID and the rewarded amount should be inserted. Then the interface ‘s2srewardedvideoadlistner’ should be implemented to notify the ad is validating for reward or not. Initially, download the audience network SDK. Create the project of audience network using Xcode. Give the ‘audience network tutorial’ as the product name by filling other details. Now in Xcode add the ‘FBaudiencenetwork.framework’ to the app directory from Facebook audience network SDK. ‘FBaudiencenetwork.framework’ is integrated into to the empty project. Facebook Video Ads are most engaging and running video ad campaigns on Facebook is low cost. This is a strong medium to reach potential customers. The three key areas for Facebook video ad campaign are the brand-building creative, targeting and measuring the performance. 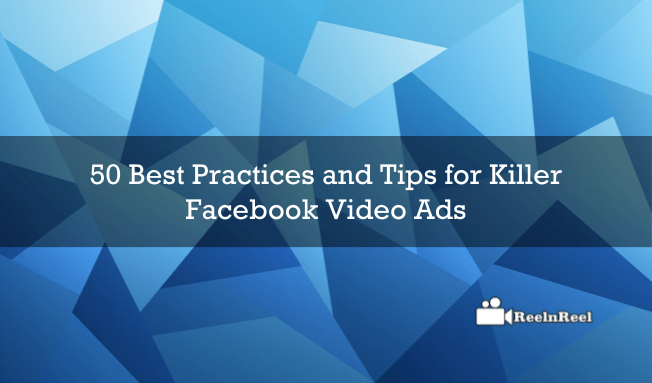 Apart from these follow any of the practices and tips mentioned above and get maximum benefits from Facebook Video Ads. The use of rewarded video will be most beneficial for the advertisers to reach the audience easily and to elaborate the brand of the products or services through rewarded video ad.